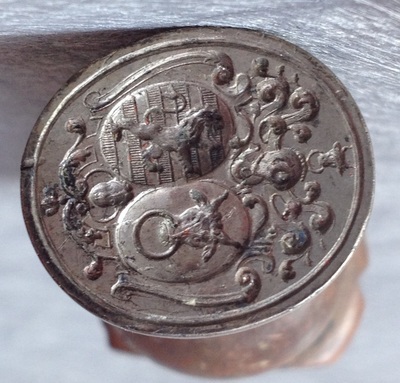 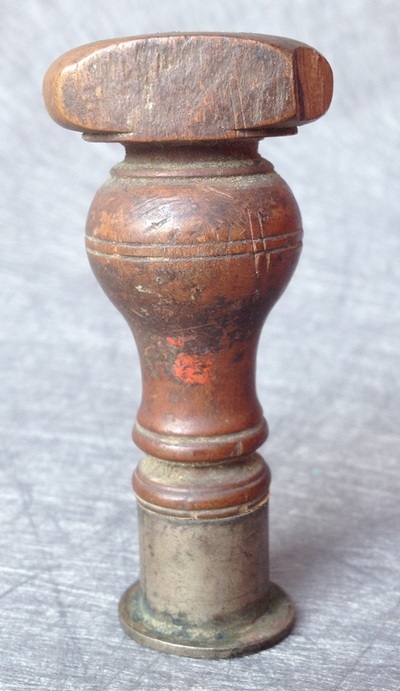 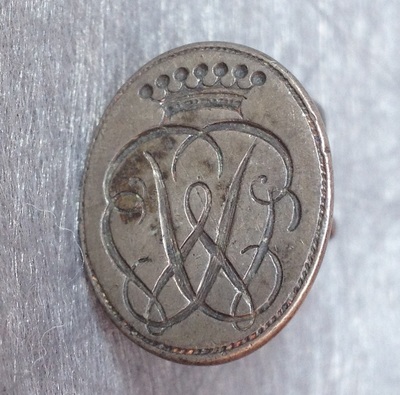 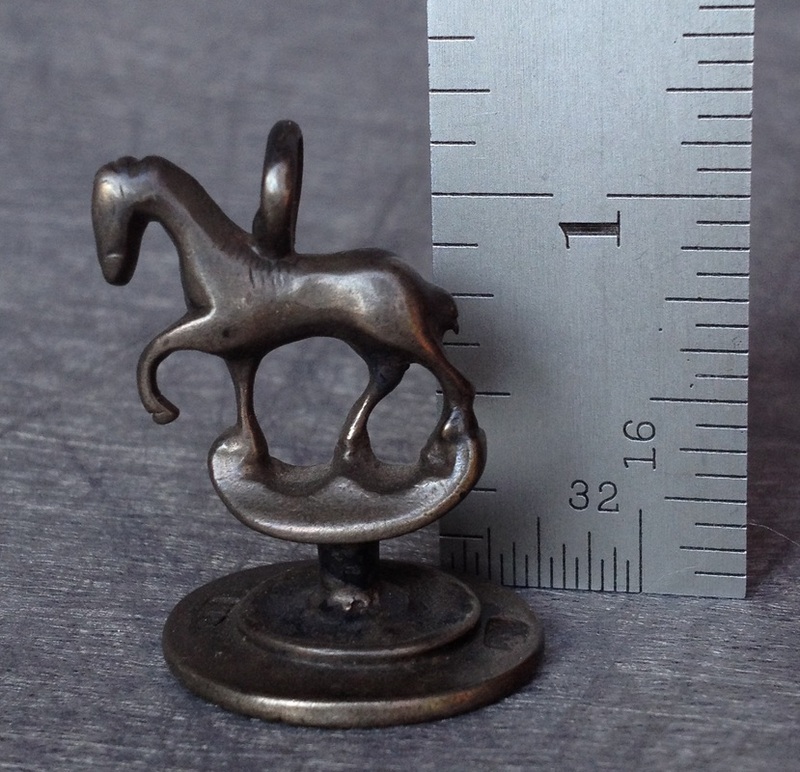 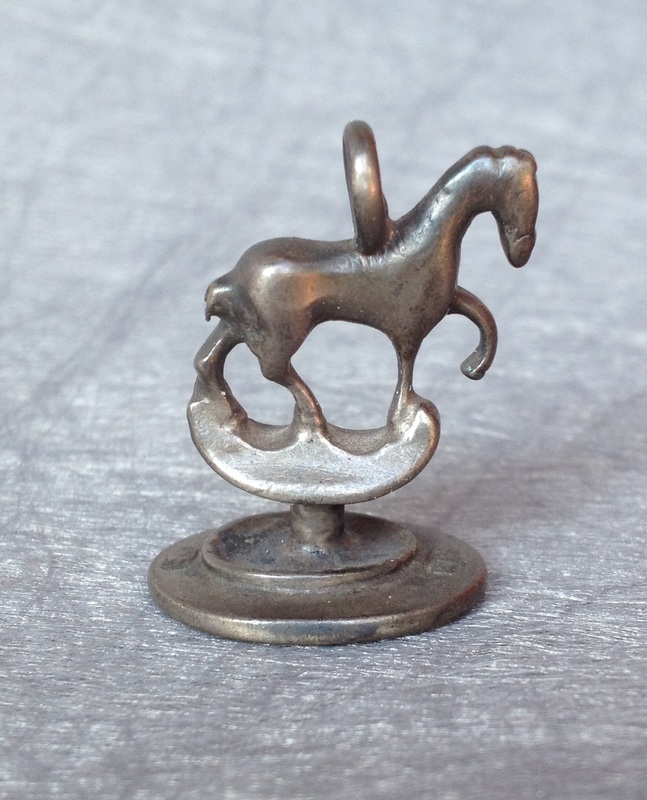 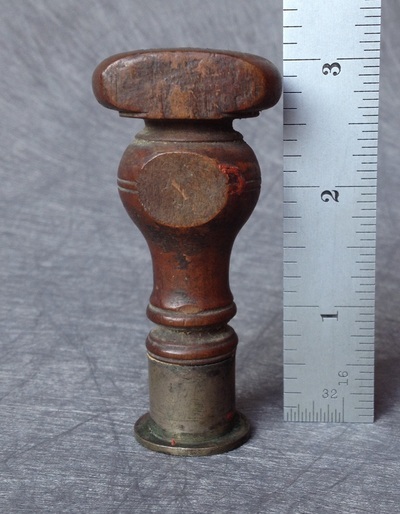 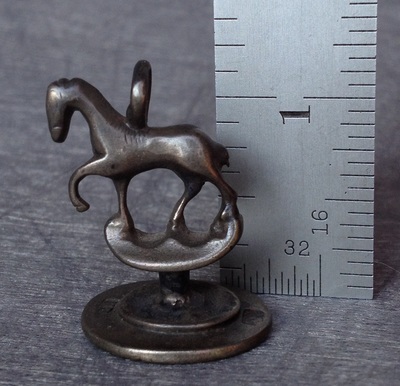 Here is a nice early silver wax seal, with a prancing horse finial. 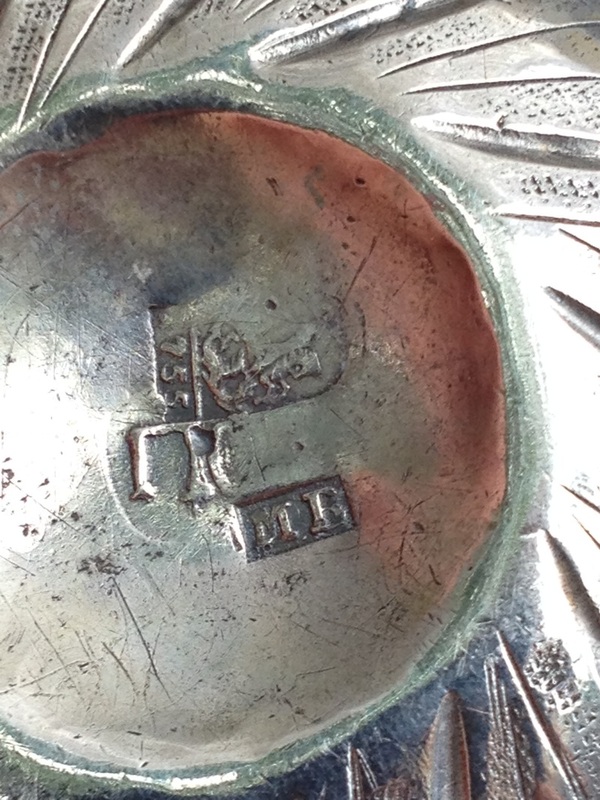 It has a crowned and conjoined initial. 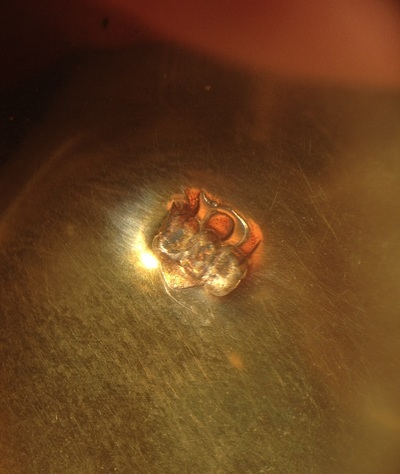 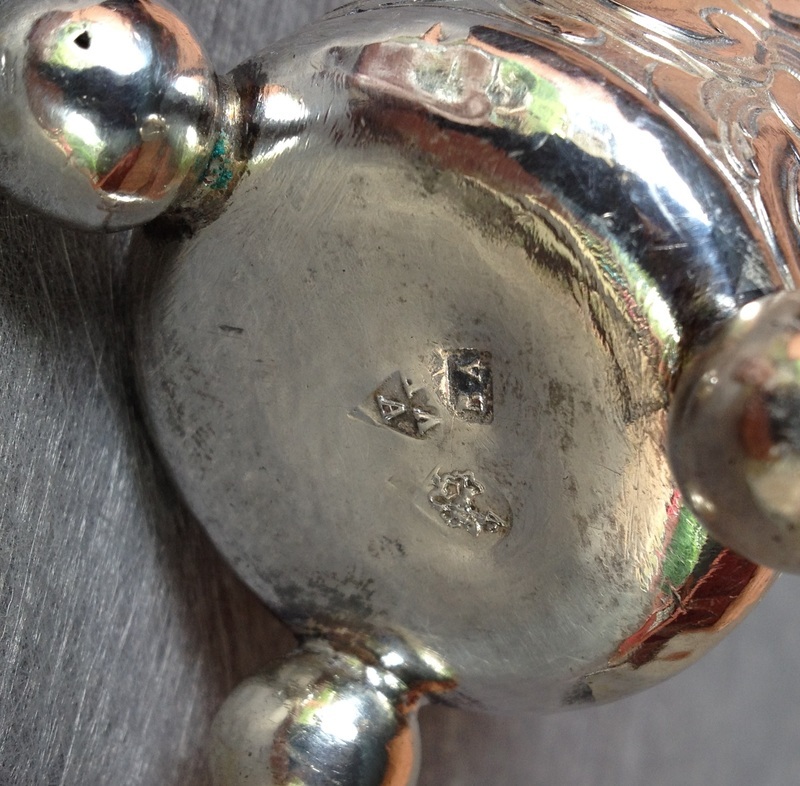 It bears two marks, one is crowned triple tower keeps, and a maker's mark "HP". 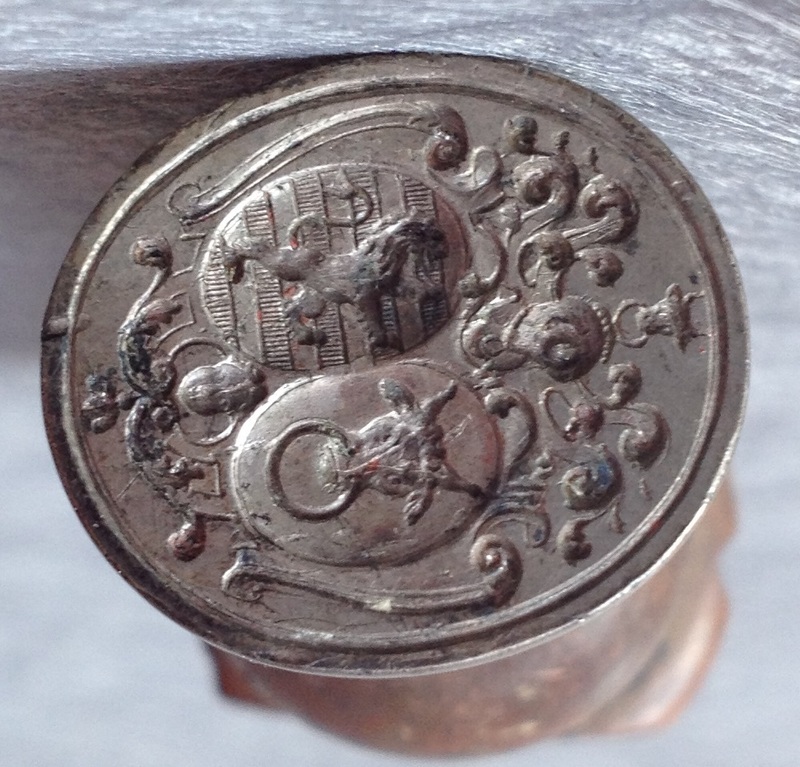 I believe this seal dates from the early to mid 18th century. 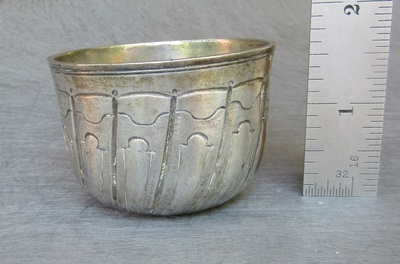 It has little wear, and is in nice condition. 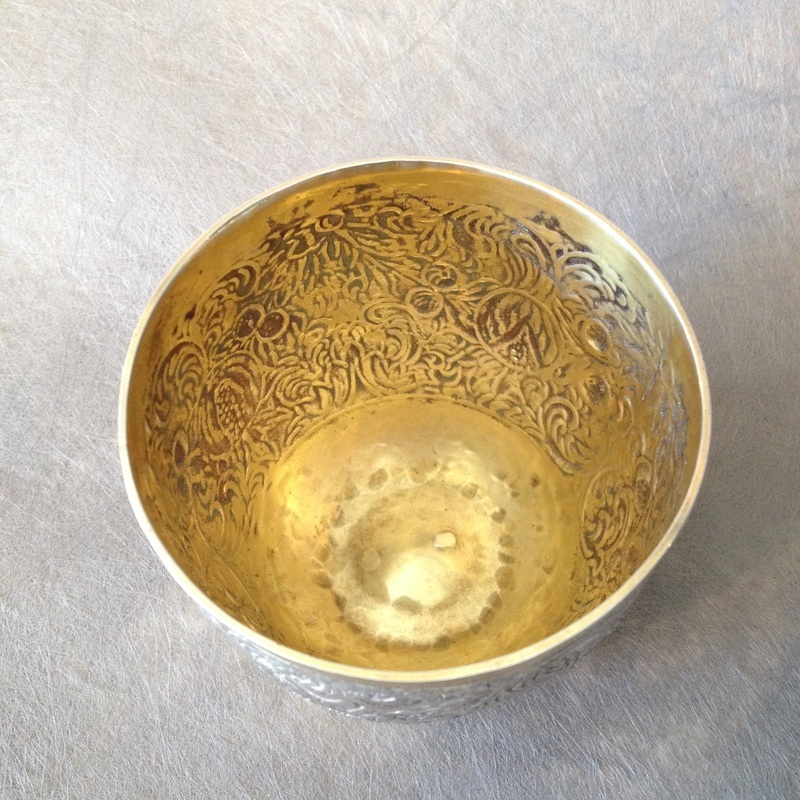 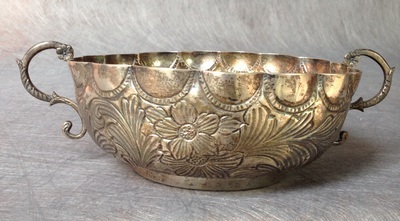 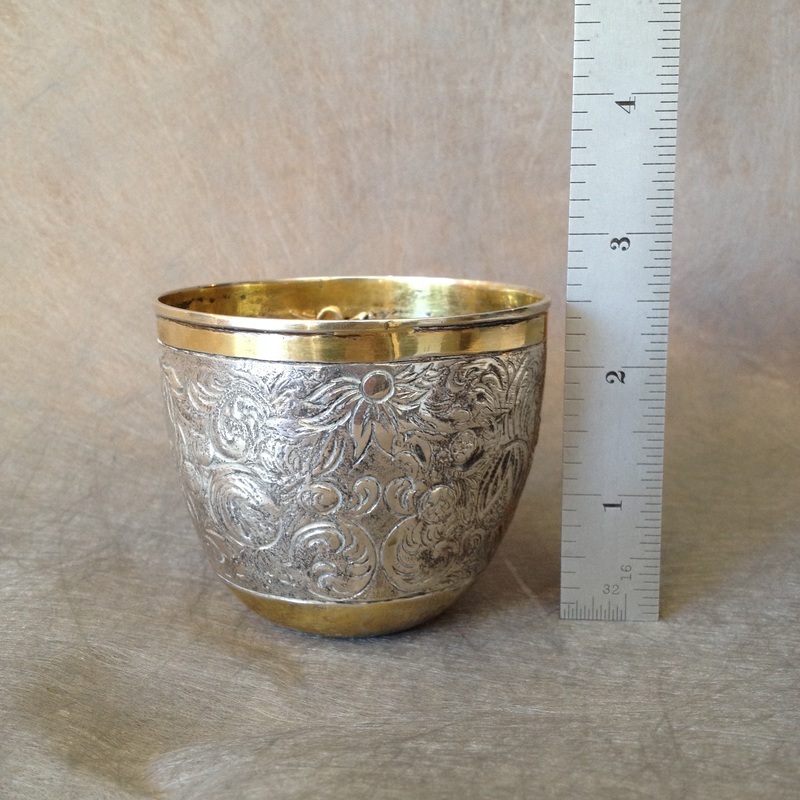 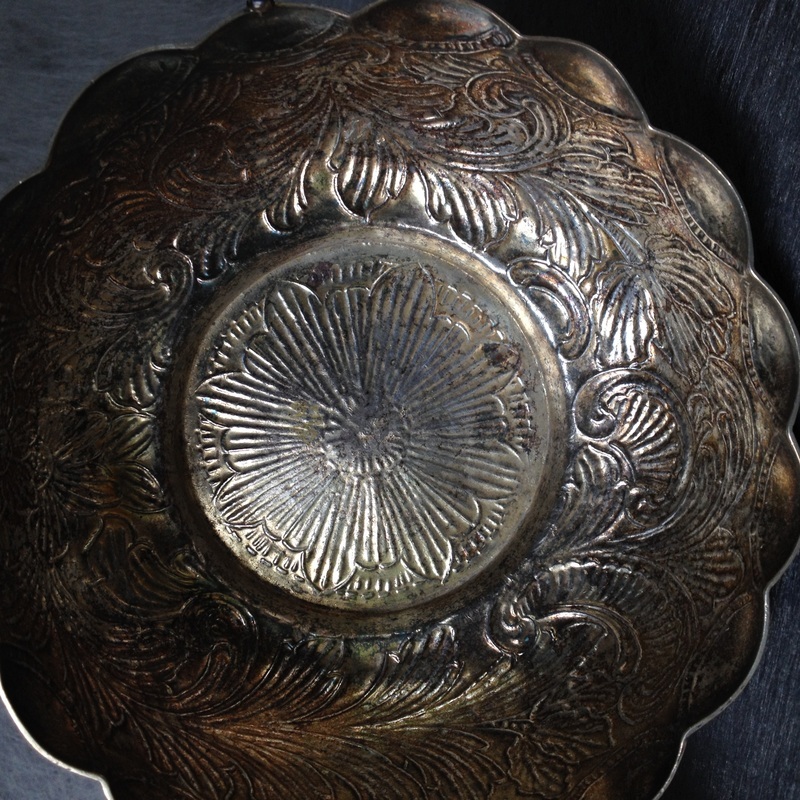 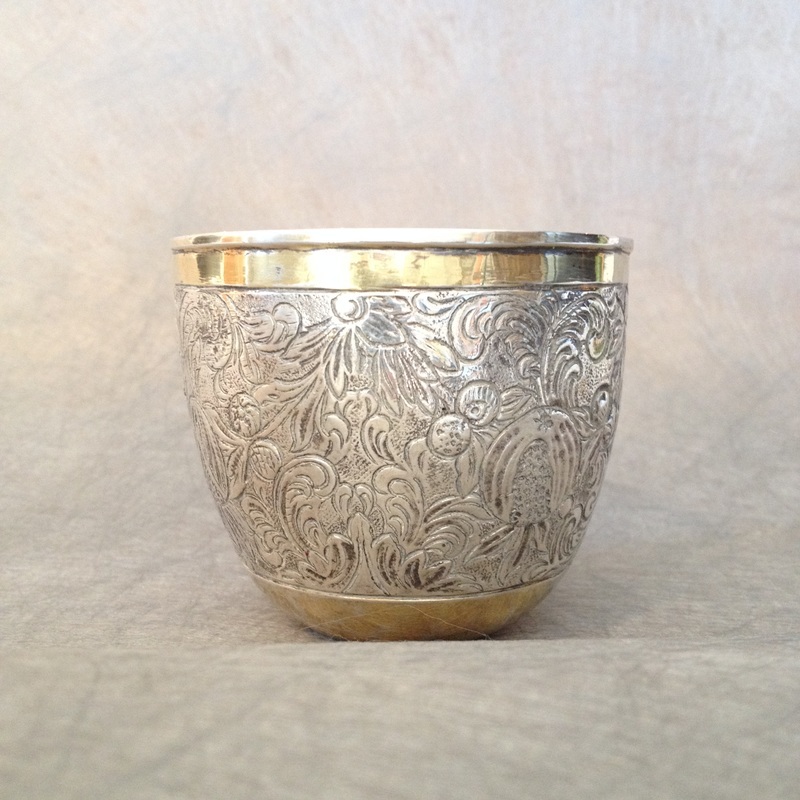 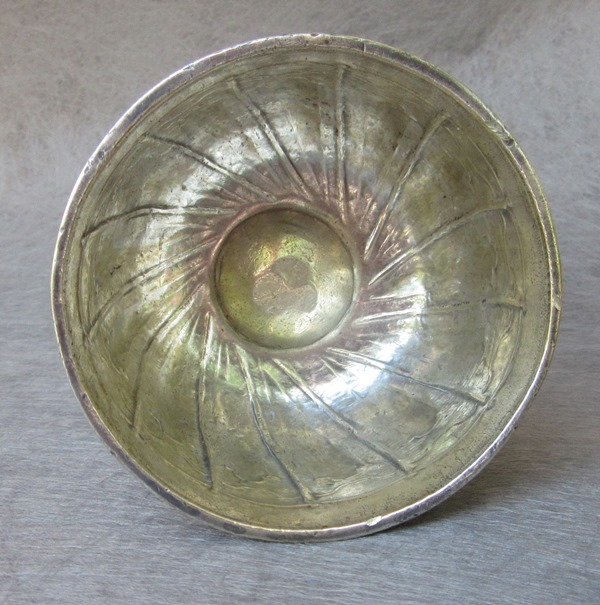 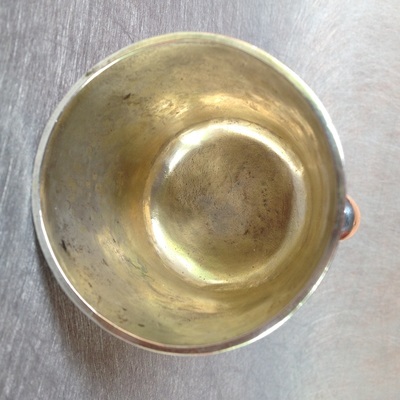 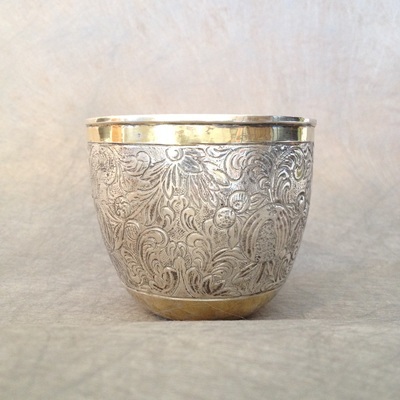 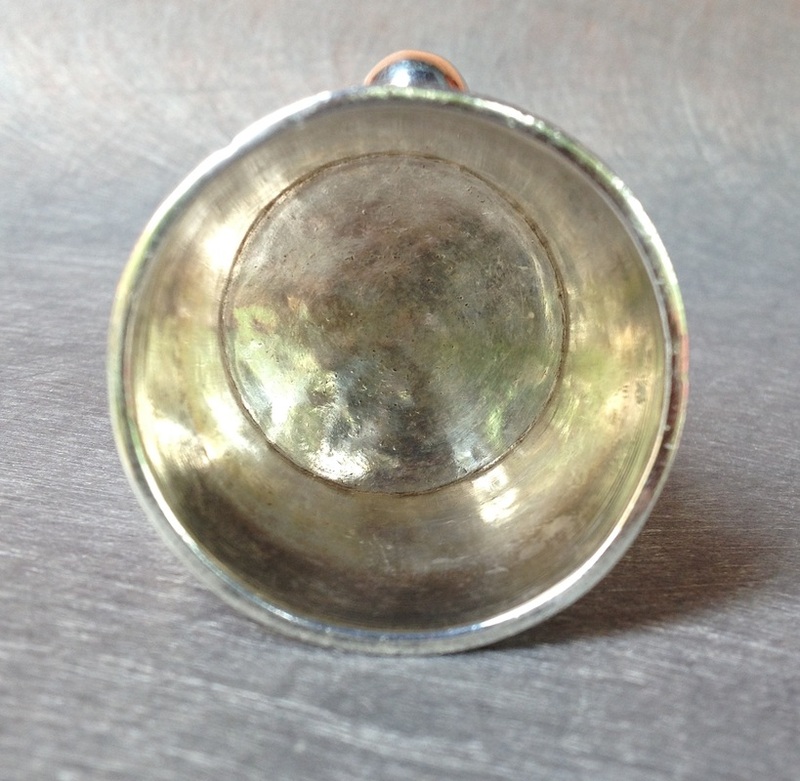 #10/10/10 This is a very nice South American Silver bowl from the 19th century. 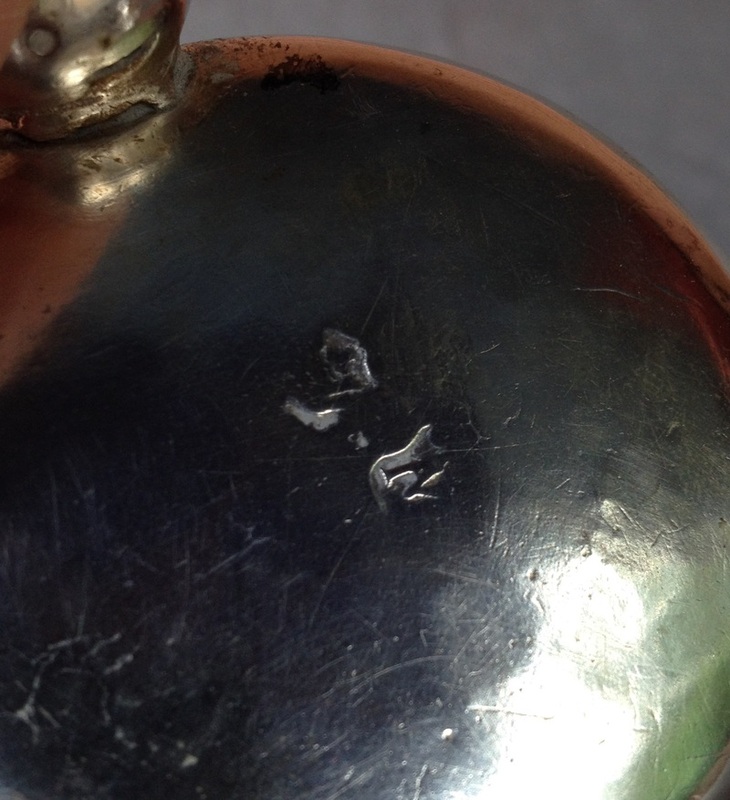 Although it has hallmarks, I cannot decipher them. 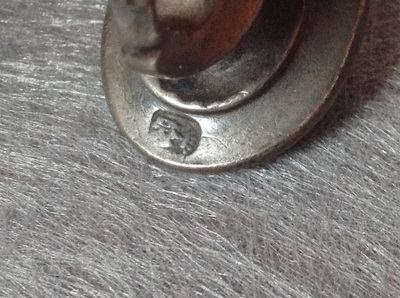 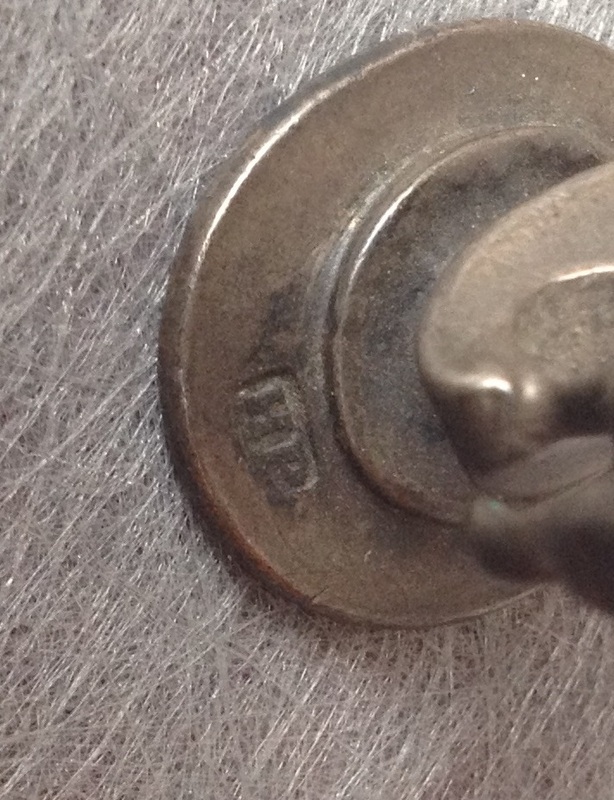 One mark is a boar sitting on his haunches, with a Roman numeral 2. 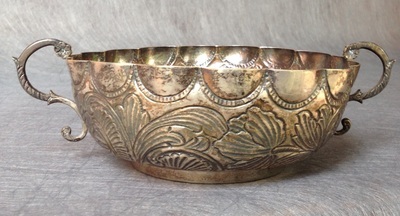 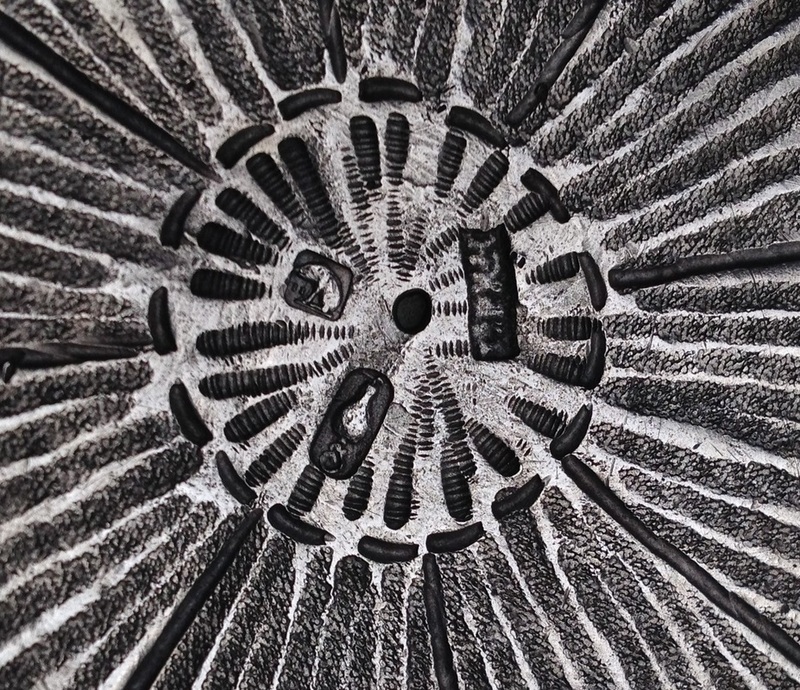 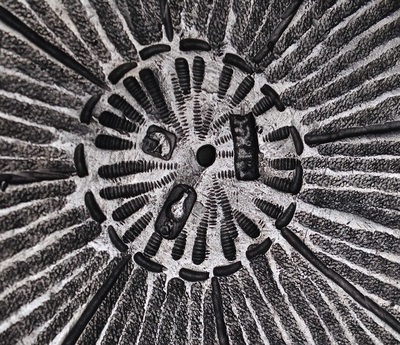 The bowl is about 6 1/4" in diameter, and stands about 2 1/2" high. 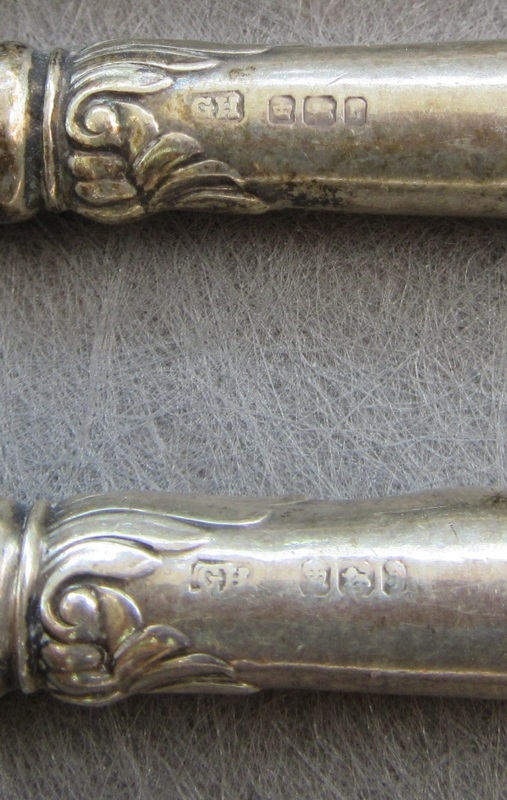 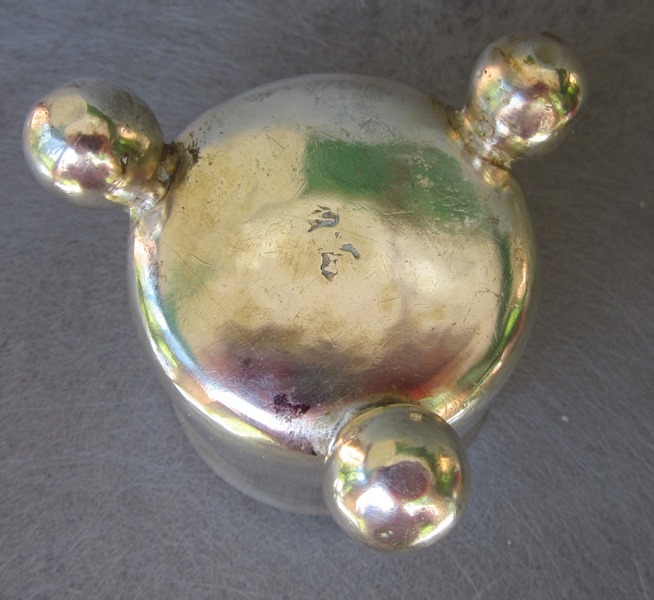 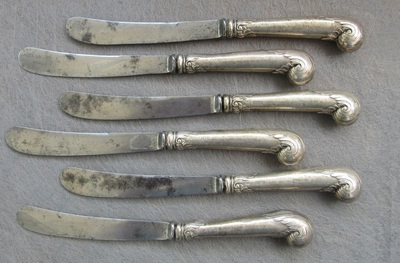 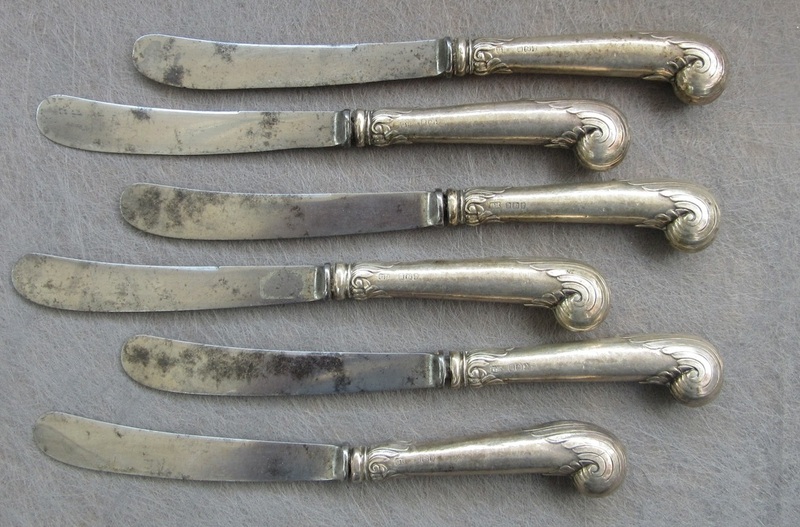 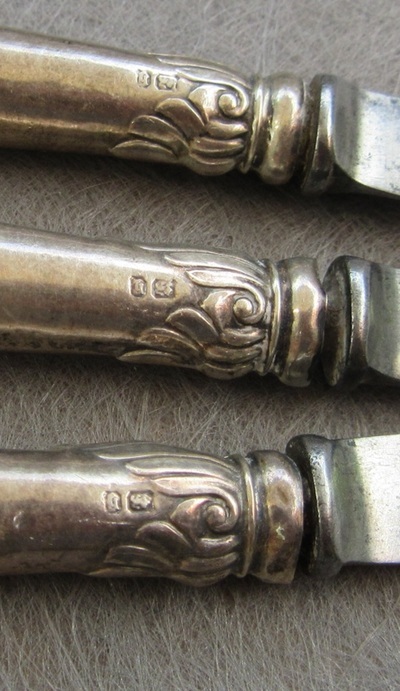 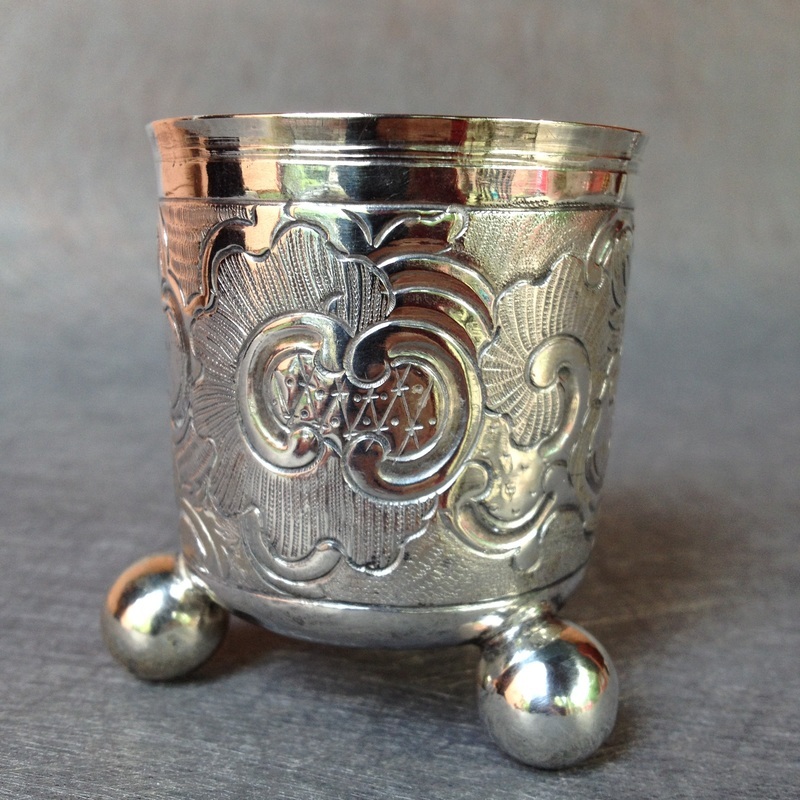 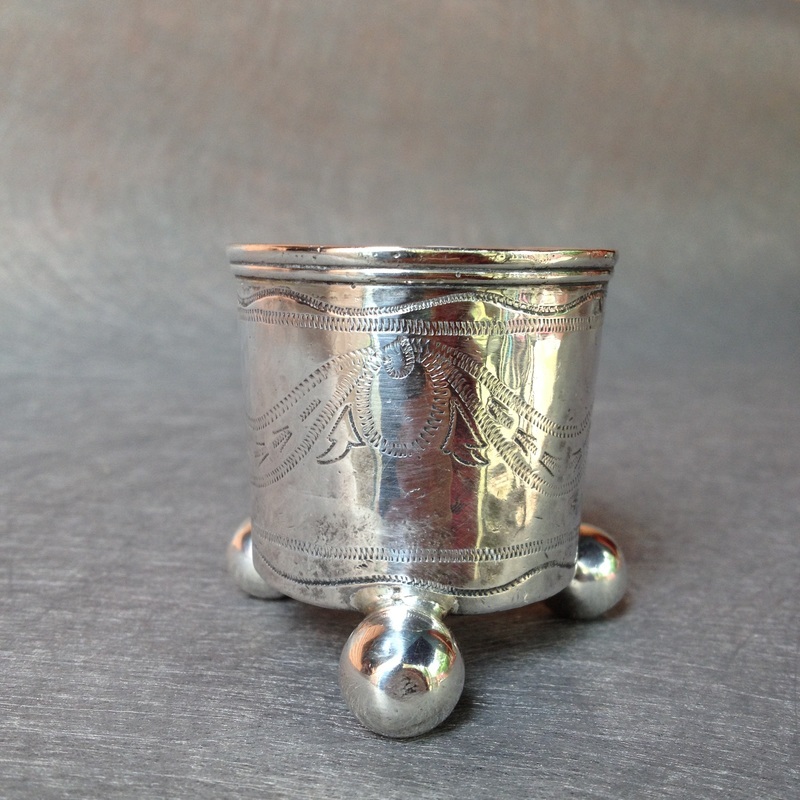 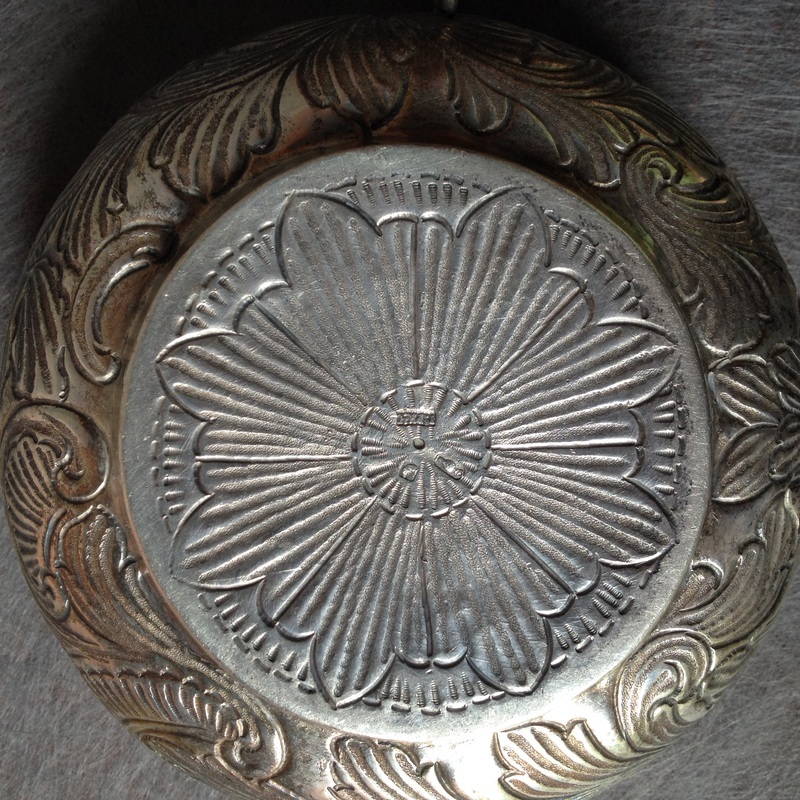 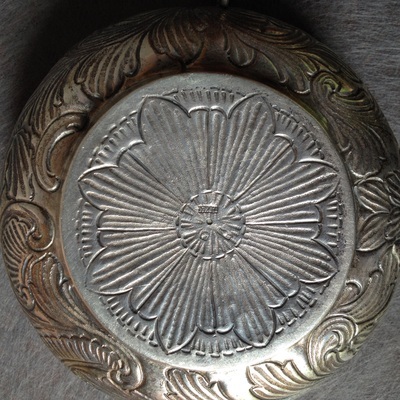 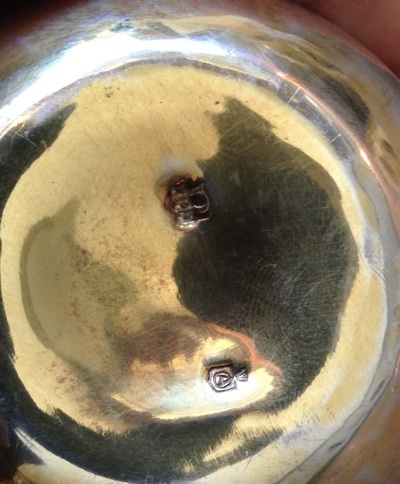 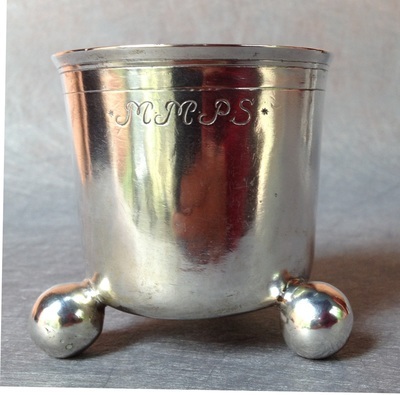 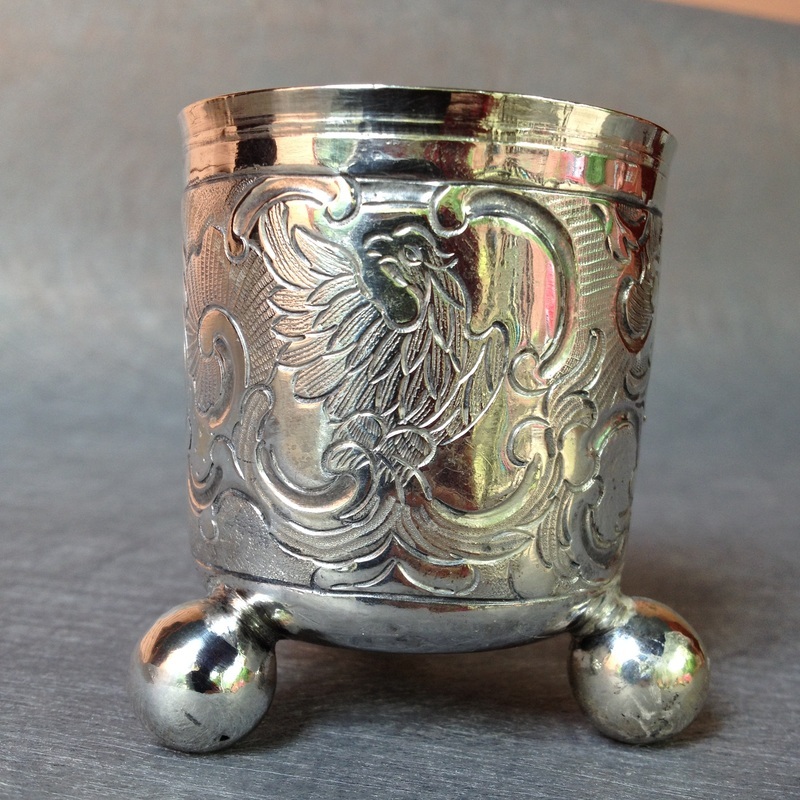 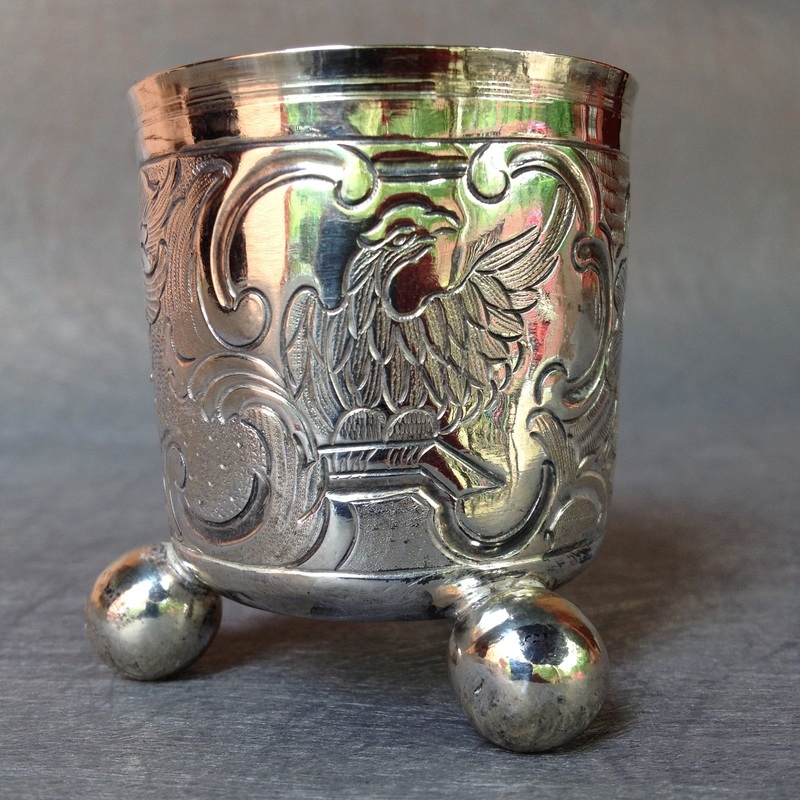 A very nice example of Peruvian or Mexican silver, in very good condition with no repairs.